Olga Egorova is a mandolin player from Russia. As most mandolin players in Russia she has studied the domra first and has got a degree in classical music from the music academy in Moscow. After this she began to play the mandolin too and has studied bluegrass, folk and other music for the mandolin. Finally she has discovered the looper as an effectiv device to make her very special music. With the looper she can develop pieces track by track to produce the sound of a complete ensemble just with a single mandolin. Every now and then she tips onto one of the pedals arranged on the floor (she obviously likes to do this barefoot…) – that looks fascinating and it’s alot of fun to watch her. But Olga Egorova can also play great music without a looper, like her version of the famous Asturias, the first piece in my playlist below. In the German version of this article I have added a set of screenshots from youtube videos that shows different facets of Olga Egorova. Olga ‘Olgertinno’ Egorova is one of the best present-day mandolin players in Russia. She started to take her musical classes when she was six – she learns to play domra (Russian string instrument of the lute family with a round body and three or four metal strings). Olga has graduated from Gnessin Russian Academy of Music (a prominent music school in Moscow, Russia) so she has got higher education in classical music. Now Olga’s main instrument is electric mandolin with guitar pedal effects, but she also plays domra, melodeon, xylophone, tambourine, bodhran etc and also sings. Using loop station (and also adding her energy and charisma) she creates multi-instrumental, multidimensional “one woman show” on stage. She performs her own – mostly instrumental – compositions as well as covers. 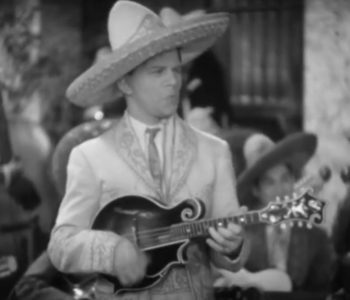 “What do you expect a mandolin player to play? Some classical stuff? A bluegrass tune?” – asks Olga. And answers: “I will not play neither one thing nor the other. 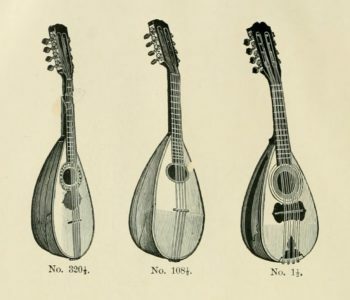 I’ll play you “music dispersion on mandolin”. What is “music dispersion”? This Olga-invented style combines elements of classical music, progressive rock, Russian folk and American bluegrass into organic whole. Olga once played with banjo virtuoso Bill Evans and Czech bluegrass star Pavel Handlik; she cooperates with top Russian folk, blues and rock musicians (such as legendary Russian folk group KukuruzA and original Russian bluesman Yuri Naumov) and some Western ones, including a Swinging London legend, “the psychedelic jug band” Purple Gang (of “Granny Takes a Trip” fame). During last seven years she played a lot of big festivals in Russia and abroad (Czech Republic, Spain, Monaco).